News IRTA Announces Award Recipients, Top UC Traders, New Board Members and Officers! IRTA recognized the outstanding contributions made by numerous industry professionals in 2016 at last month’s Hard Rock Riviera Maya convention. 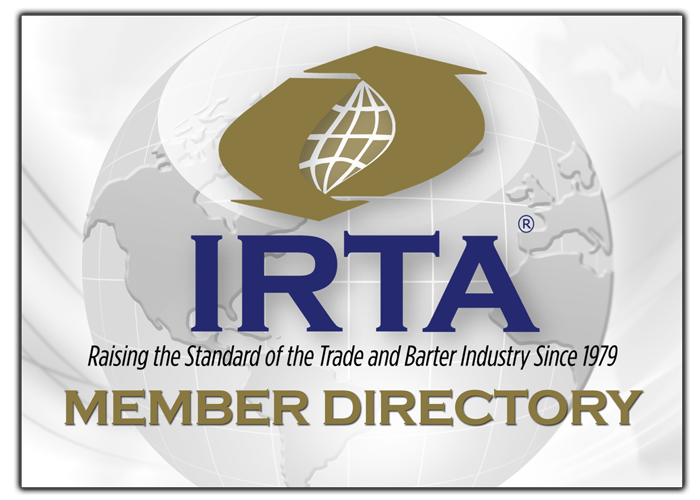 Additionally, the IRTA membership re-elected Scott Whitmer to the IRTA Global Board of Directors and elected Patti Falus to the board as well. The mission of IRTA is to provide all industry members with an ethically based global organization, dedicated to the advancement of Modern Trade/Barter and other Alternative Capital Systems, through the use of education, self-regulation, high standards and government relations. If you have any questions, or are interested in joining IRTA and UC, please contact IRTA’s President & CEO, Ron Whitney at ron@irta.com or 757-393-2292.